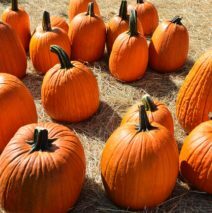 I know it seems to be a little early to be discussing pumpkins, ghosts, and candy but let’s be honest: The Halloween shopping season is upon us. As retailers it is our job to anticipate the needs of the consumers so we run about two to three months earlier than the rest of the calendar year. I adore Halloween. It is arguably my favorite holiday so I have actually put together two amazing treats for you. 1. My top Halloween keywords! 2. A discount code for 10% off ALL Halloween titles, tags, and descriptions! 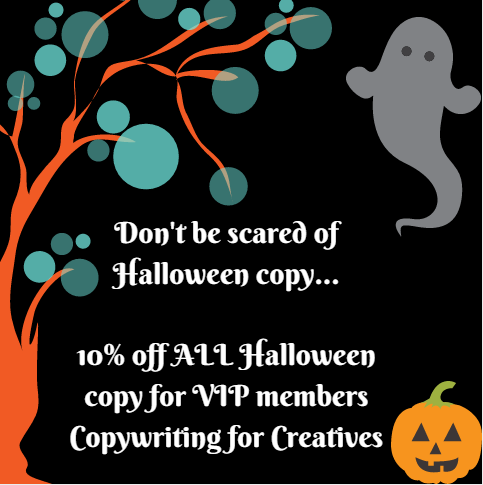 You can scroll down to see the Halloween keywords BUT if you want to score the discount code you must be a member of my VIP Facebook group Copywriting for Creatives. This Facebook group is your place to learn about copywriting, creative writing, SEO, and customer service and score promotions like this one. I can tell you right now: Black Friday is going to be a good day for my VIP followers. Did you check that these titles fit as tags as well? That’s a great question! These keywords are suitable to a variety of platforms so they will not all fit within the 20 character limit of the Etsy tag system.